I grew up on a farm in Schomberg, Ontario where I discovered and cultivated my talent for woodworking. I grew up on a farm in Schomberg, Ontario where I discovered and cultivated my talent for woodworking. My passion is designing and handcrafting custom furniture and art pieces from fallen trees, transforming a vision–a description, a simple sketch—into a piece worth cherishing. My craft has roots in two places. The first is the farm I grew up on, in Schomberg, Ontario, where I discovered and cultivated my talent for woodworking. The second is my family cabin, on the Irondale River in Haliburton, where I draw inspiration for my original creations from the rugged beauty that surrounds me. I am a proud advocate of keeping our planet green, and of fostering a sense of community, so when I’m not building from natural materials found on my land, I’m purchasing the finest quality supplies from local entrepreneurs. In the course of my career I have built silos, barns, and entire homes. For fifteen years I was the Head Carpenter for a company in the Set Building Industry where I worked closely with talented designers to create sets for television. But what I enjoy most is designing and handcrafting custom furniture and art pieces, transforming a vision–a description, a simple sketch—into a piece worth cherishing. 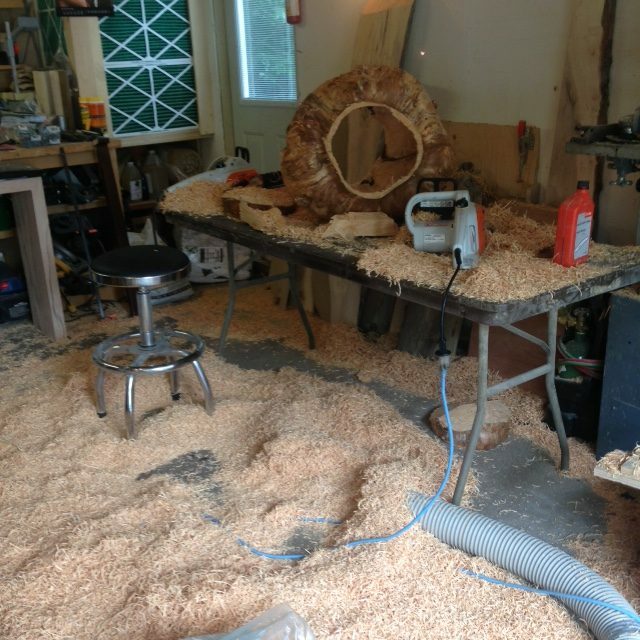 Have you always been a woodworker? How did Baker Brother come to be? Yes, I have always worked with wood. From a young age growing up on a farm I was inspired by a family of talented craftsmen. After years of working for other people, I decided to start my company, Baker Brothers . My brothers are all of the people that help me to get all of the supplies that I need to do my projects and mill my wood for projects. The love of working with wood and bringing life back to fallen and disregarded trees. Mostly wood, but I also work with steel (welding) and glass to accent my pieces. What kind of products do you like to manufacture? Unique, one of a kind pieces such as tables, lamps, furniture and art pieces. 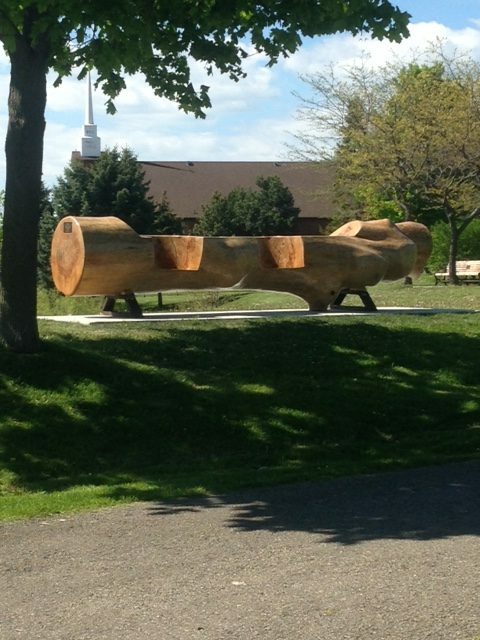 Could you tell me more about the bench you manufactured for the park in Pickering? 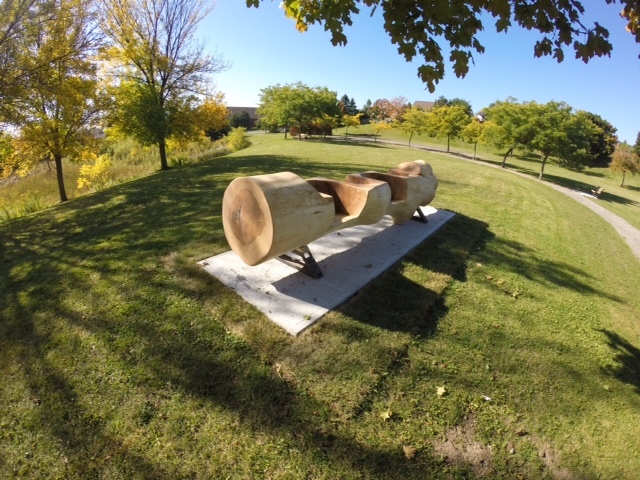 I was asked by the City of Pickering if I could make a bench out of an ash tree that was tagged to come down for a subdivision and was diseased by the Emerald Ash Borer. The project was part of a community enhancement Project by the students of Dunbarton High School who were the recipients of the the community enhancement infrastructure project Celebrating Sustainable Neighbourhoods in 2013. The high school later was named the Greenest School on Earth. The bench is one of the features of the enhancement project in Ernie L. Stroud Park located at the intersection of Steeple Hill and Edmund Drive in Pickering (behind Dunbarton High School). Further information is available on the City of Pickering website. Do you like working with ash? Why? Yes, because it is now in abundance and it is a great hard wood with beautiful grain. Why is it important to use local materials? In December of 2013 I became an Ontario Wood Partner – all of my pieces are crafted from local wood – there is such an abundance and a variety of beautiful choices. I am a firm believer in building with Ontario Wood and using Canadian products to help other local business and boost our economy. Why is it important to work with sustainable materials? Do you have any exciting projects lined up? Yes. I recently won a design competition for my Forever Bench that I crafted from a branch of the Maple Leaf Forever Tree. When I went to pick up the branch from the City of Toronto yard I spotted an unusual and very interesting burl measuring over 11 feet by 7 feet in length. I am envisioning a beautiful art feature for a large indoor public space. 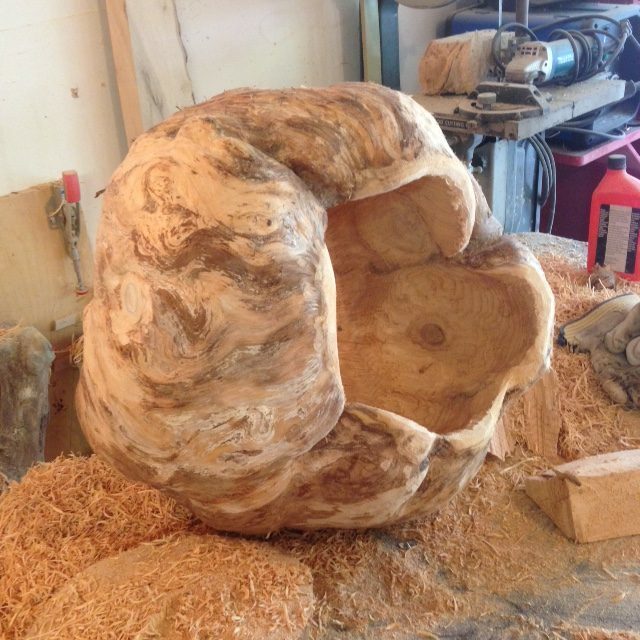 I am sending a picture of the burl and the Forever Bench that I am currently marketing – hoping to find a public space where this piece of history can be appreciated by all.